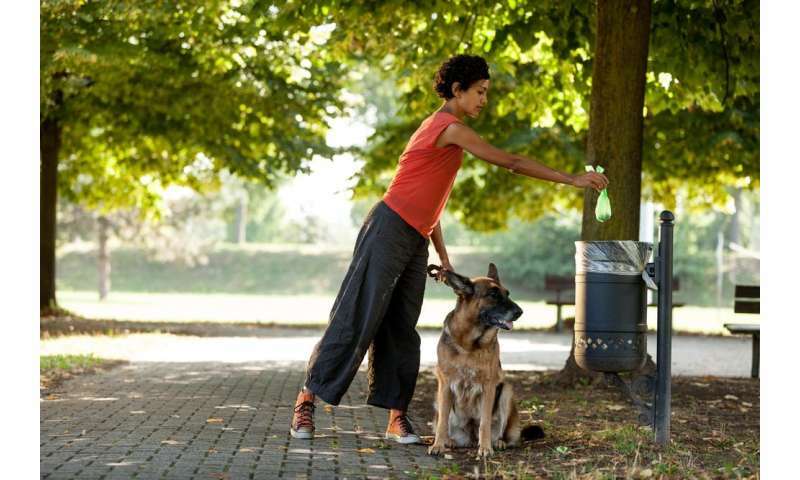 Dog poo is considered an environmental hazard. This is a consequence of its composition. 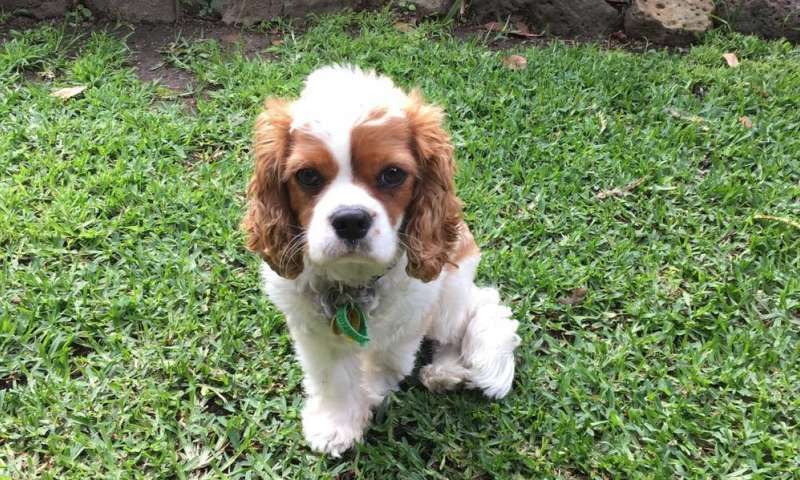 It is comprised of three-quarters water plus undigested food including carbohydrates, fibre, proteins, and fats from the dog's digestive system. Also present are a wide range of resident bacteria that are needed for digestion. People also don't like dog poo because of its smell. This is due to the volatile products produced by microbes in the gut that are involved in the digestion process. More than 100 different chemicals that could contribute to the bad smell have been identified. If you have a garden you can make your own compost bin by adding the dog poo to grass clippings, plant or other organic waste, and even sawdust as a source of food for the microbes. The microbes then break down the organic material into humus. During this process the temperature in the compost mixture rises to 50-60℃. Over time, the heat will kill most canine bacteria, as they are adapted to live at lower temperatures in the dog's gut. Then it's time to use your compost to improve your garden! If you live in an apartment and don't have a garden or access to green waste, you can still compost dog poo and use the product. There are small compost bins commercially available for this purpose. Composted material from these can be used on your outdoor or indoor plants. And if you don't have any indoor plants, then you should think about getting some, as they can cut down on ozone in the air and even reduce indoor pollution. So putting poo into the ground in your backyard is GOOD but putting poo into the ground somewhere else, in ground labeled a "landfill" is BAD. How remarkably scientific, I am so glad the ever watch full editors included this pseudo-environmental nonsense.